The United States Power Squadrons, which is headquartered in Raleigh, North Carolina, has 33 districts. Each District covers a geographical area of the United States and areas outside of the continental United States. The Charlotte Power Squadron is one of 20 squadrons in District 27. District 27 squadrons are located throughout North Carolina and a small portion of South Carolina. The Charlotte Power Squadron is a non-profit, fraternal organization whose purpose is to promote high standards of seamanship and navigation and safe boating for all. CPS schedules several times a year Boating Safety Courses open to the general public. Register Online for one of our America's Boating Course (ABC). This course is approved for certification to operate Personal Watercraft by persons in NC, 14 years of age and up and those operating any other vessel with more than 9.8 hp. who were born after Jan. 1, 1988. For those in SC, this course is approved for anyone operating a vessel 15 HP or greater and under 16 years of age. 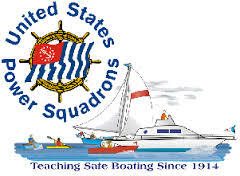 For more information on America's Boating Course Contact P/C Charles R. Ibach, III, SN-IN. We don not have any ABC Public boating courses Scheduled at this time. Please check back soon. The Charlotte Power Squadron offers advanced courses for it's members. Squadron members are eligible to take our advanced courses taught by qualified instructors. These begin with basic seamanship and continue on through piloting, advanced piloting, junior navigation to the advanced classes in navigation. Elective courses available for member participation include marine electronics, sail, engine maintenance, cruise planning, weather, and many other areas of boating interest, all which are a part of USPS Education. Members also participate in special boating safety programs and civic activities working toward the improvement of boating safety conditions. In addition to this, we have a very active social schedule filled with fun. You are invited to come and join us. How to become a member and other benefits from USPS can be found at How to become a Member and other benefits. The Charlotte Power Squadron participates in the Vessel Safety Check program. A Vessel Safety Check is a courtesy examination of your boat (Vessel) to verify the presence and condition of certain Safety Equipment that is required by State and the Federal regulations. VSC's are generally performed on recreational boats under 65 feet. The Vessel Examiner is a trained specialist and is a member of the United States Power Squadrons® and a local member of Charlotte Power Squadron. Vessel Examiners will also make certain recommendations and discuss certain safety issues that will make you a safer boater. A VSC is not a law enforcement authority. A Vessel Safety Check is performed only with the consent of the owner or operator, who must be present at the time of the examination. You will be supplied with a copy of our evaluation so that you may follow some of the suggestions given. Vessels that pass will be able to display the distinctive VSC 2007 decal. A Vessel Safety Check does not circumvent the right of any federal, state or local law enforcement officer to verify the presence and condition of safety equipment. Be sure and keep checking our site, for it will be updated monthly. The CPS website was created on Feb 28, 1999. Copyright © 1999-2018 Charlotte Power Squadron. All Rights Reserved. 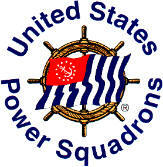 ® The USPS Ensign (Flag Design), "Wheel-and-Flag Design", "Officer Trident Design", "United States Power Squadrons", "USPS", "The Ensign", "the Squadron" with flag graphic, "Boat Smart", and "Jet Smart" are Registered Trademarks of United States Power Squadrons. Other company, product or service names may be trademarks, or service marks of others. For additional information concerning USPS and CPS privacy, disclaimer and trademark statements, please select from the links below.